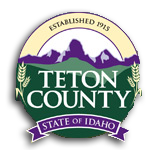 Teton County Road & Bridge is looking to hire a seasonal equipment operator. 40 hours per week. Hourly rate depends on experience. No benefits included.